Take a break from San Juan with a short trip to El Yunque Rain Forest in El Yunque National Forest, about 1h 10 min away. The adventure continues: skim along the rocks with a canyoning and rapelling tour, enjoy the sand and surf at Condado Beach, get to know the fascinating history of San Juan National Historic Site, and sample the fine beverages at Casa BACARDI Puerto Rico. To find ratings, photos, traveler tips, and tourist information, use the San Juan visit planner . San Francisco, USA to San Juan is an approximately 12.5-hour flight. You can also do a combination of flight and car; or do a combination of flight and shuttle. The time zone changes from Pacific Standard Time to Atlantic Standard Time, which is usually a 4 hour difference. Plan for much warmer temperatures traveling from San Francisco in December, with highs in San Juan at 85°F and lows at 75°F. Finish your sightseeing early on the 3rd (Fri) to allow enough time to fly to Culebra. Kick off your visit on the 4th (Sat): get lost in a book at Culebra Public Library and then kick back and relax at Flamenco Beach. Keep things going the next day: enjoy the sand and surf at Zoni Beach, enjoy the sea views from Culebrita Lighthouse, and then head off the coast to Culebrita Island. To see ratings, other places to visit, reviews, and tourist information, refer to the Culebra trip planner. Culebra is just a stone's throw from San Juan. 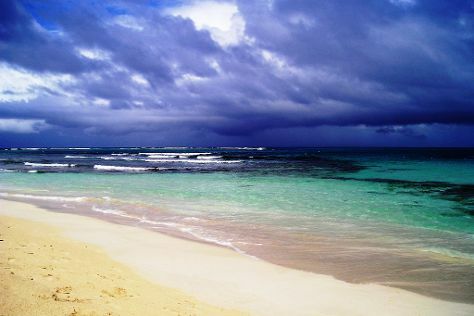 In January in Culebra, expect temperatures between 84°F during the day and 73°F at night. Wrap up your sightseeing on the 5th (Sun) to allow time to travel to Isla de Vieques. Isla de Vieques is known for nature, beaches, wildlife, adventure, and nightlife. Your plan includes some of its best attractions: contemplate the waterfront views at Sun Bay, admire all the interesting features of Camp Garcia, have fun at Vieques Gun Club & Sporting Clays, and identify plant and animal life at Vieques National Wildlife Refuge. To see where to stay, maps, more things to do, and other tourist information, read Isla de Vieques trip itinerary planning app . You can do a combination of flight and car from Culebra to Isla de Vieques in 2.5 hours. Alternatively, you can ride a ferry. In January, daytime highs in Isla de Vieques are 82°F, while nighttime lows are 72°F. Finish your sightseeing early on the 10th (Fri) to allow enough time to travel back home.